Multi functional, beautifully finished , space saving party centers. 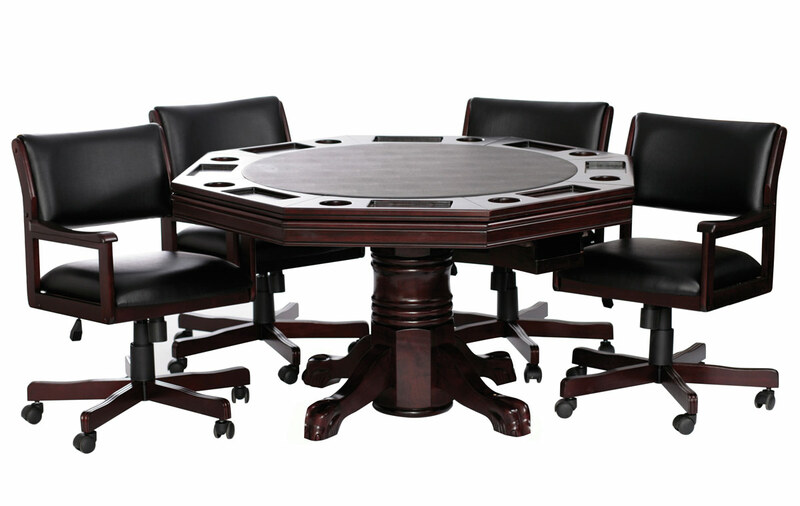 This Level Best 3 in 1 table converts instantly from a dining table with beautiful book matched veneers, to a poker table with the flip of the top. Removal of the top exposes one of the most skilled games ever designed, 54" octagonal Bumper Pool! Bumper pool is one of the most challenging cue sport games ever invented. 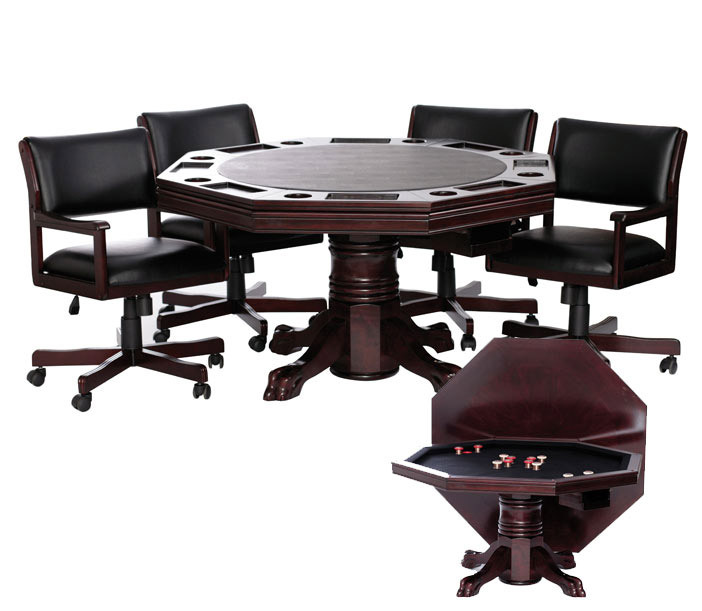 Your skill levels will soar as infinite angles are calculated and executed.The 3-In-1 Game Table with optional chairs is an all purpose game table set with finish options of "Classic Oak", "Traditional Mahogany", "Honey Maple", and "Cinnamon". 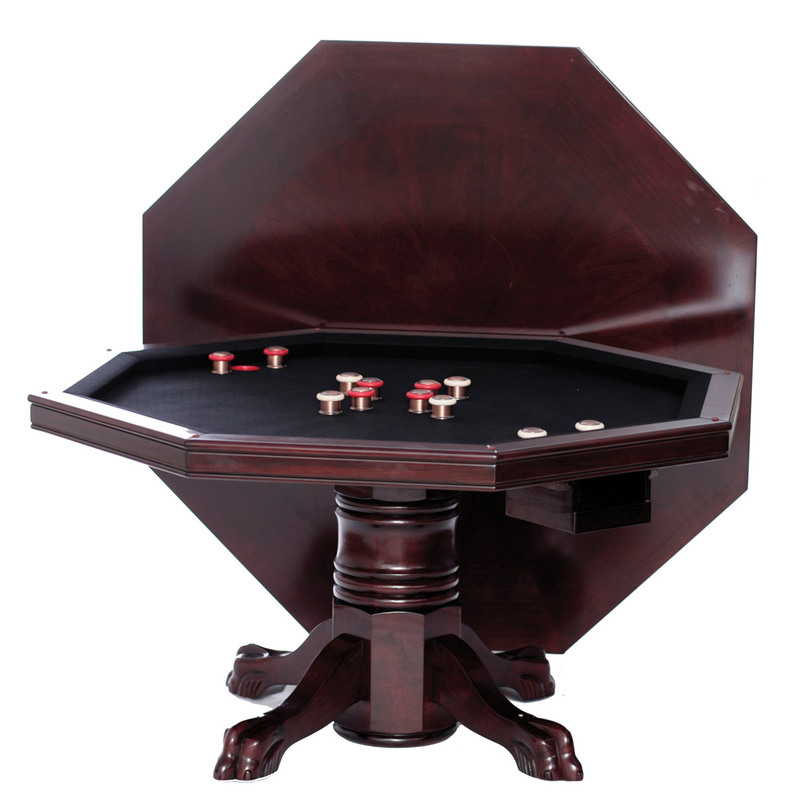 The 54" 3-In-1 Game Table will blend seamlessly with your game room. Accessories are included so you will be ready to play in no time! The table is a classic piece of furniture that is sure to last for years to come. 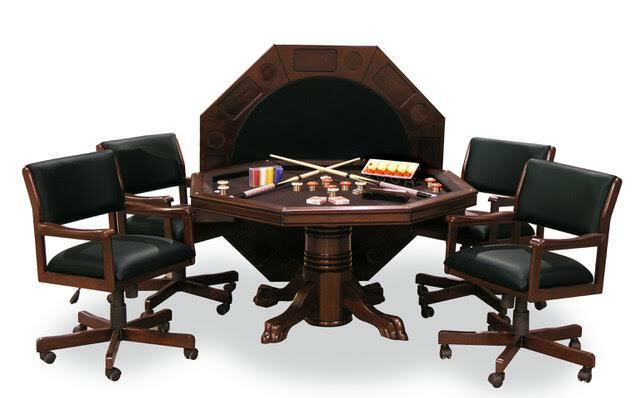 Be sure to complete the set with the matching game chairs. Do you sale a slate bumper pool table with 14 bumpers? 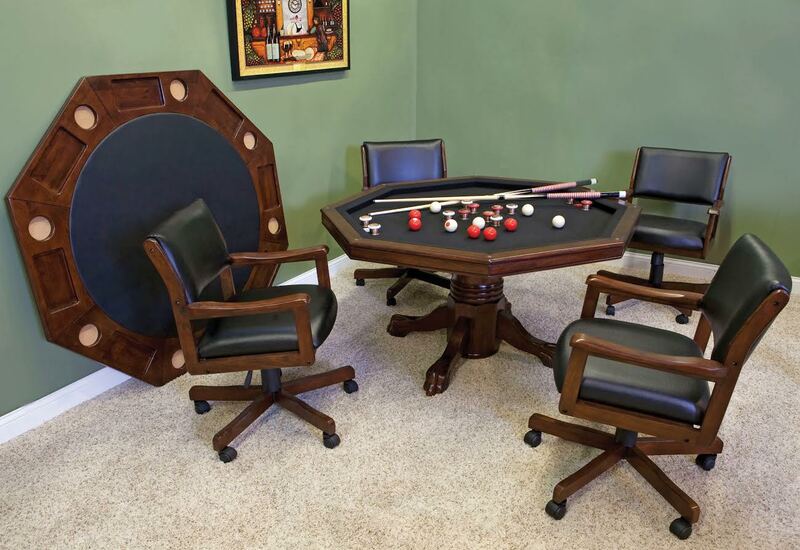 Our bumper pool tables only feature 12 bumpers which we find most of our customers to be satisfied with. What are the chairs made of? Leather? These chairs feature engineered leather material that is designed to withstand constant use - looks and feels like real leather. I purchased this bumper pool table about 3 weeks ago and the quality is top notch and it was easy to put together and get set up. I was really impressed and would recommend to anyone!